Ami Koïta is one of the most famous griottes in Mali. 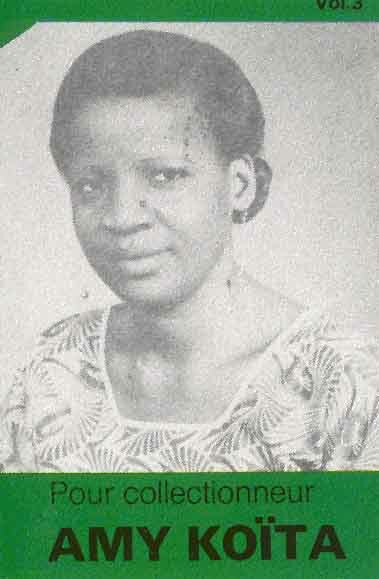 The above cassette was recorded in circa 1976 by Radio Mali and it represents some of her earliest recordings. Her version of the epic narrative "Tara" is an outstanding performance, with her voice soaring above the traditional ensemble and providing impetus and drive. Difficult to obtain in Bamako, let alone anywhere else, the three volume series would make a great CD re-issue.